Hand-dyed indigo fabric. 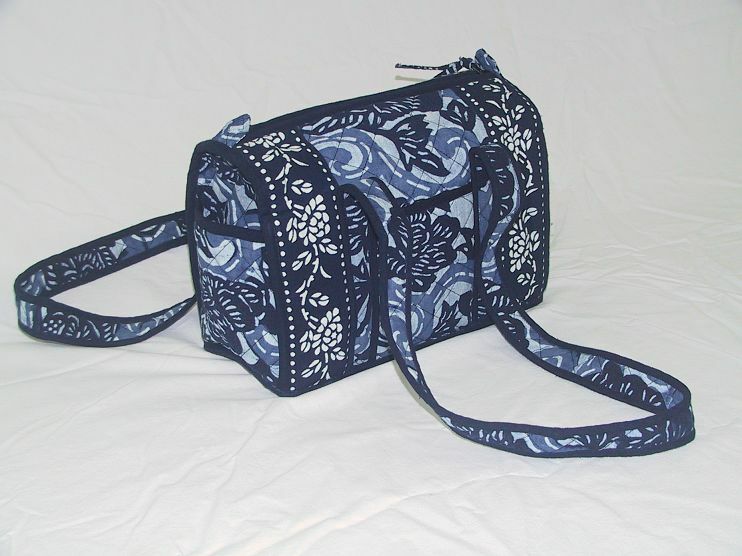 Beautiful blue and white pattern with one zippered pocket inside and another outside! Double quilted for extra strength. This is the rope pattern. 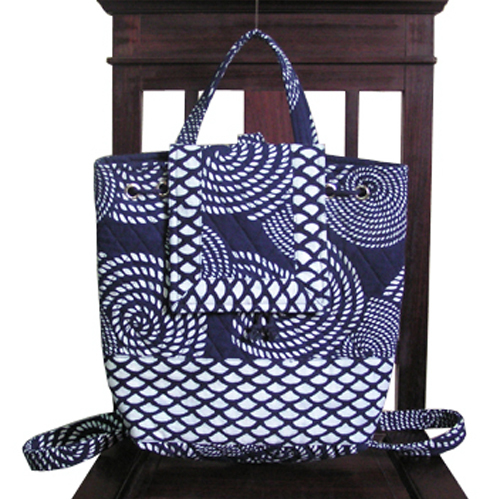 It is hand done with an outline cut by True Blue and soy paste used as a resistor for the white color. 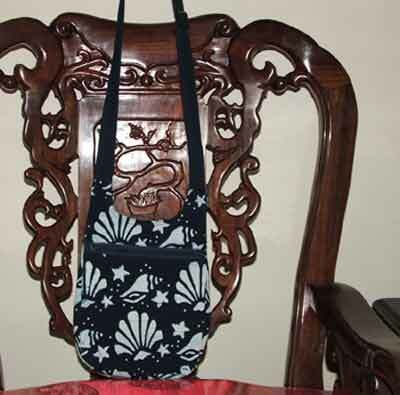 Many patterns are available: Seashells, Sailboats, Dragonflies, Bird and Flower, etc. Please specify which pattern appeals to you when ordering.